In Hershey High School’s big, open art room sunlight flows in from the clear windows and doors. 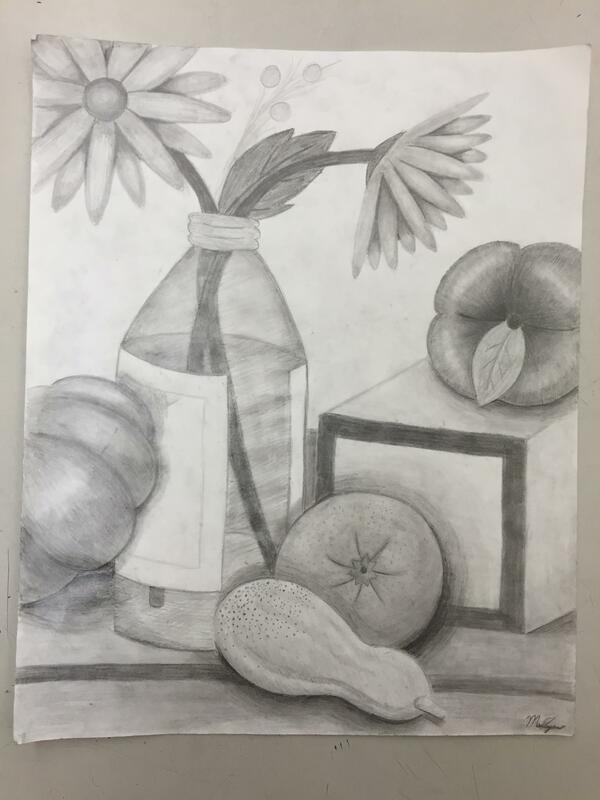 The fluorescent ceiling lights are off and a few lamps are on, casting the room in a dim glow; today’s Art Foundations 1 course is working on still life projects. 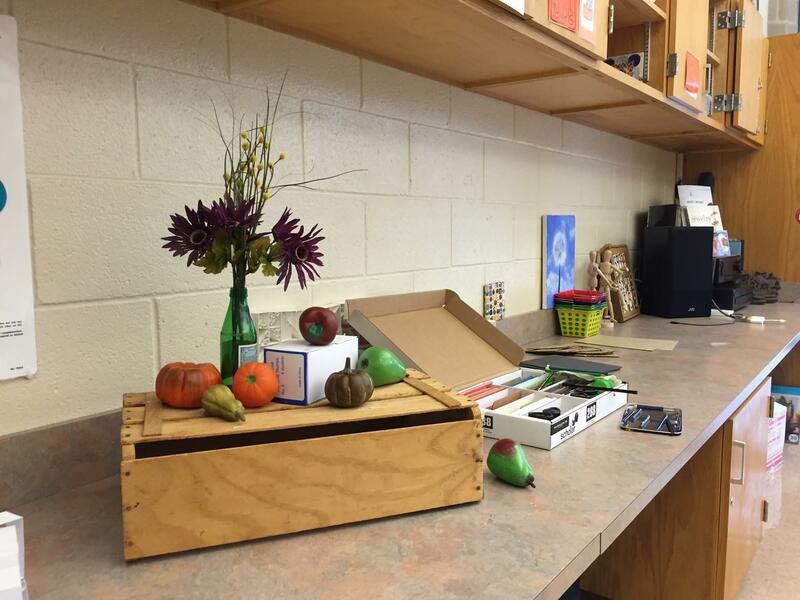 An example of still life in the art room on October 9, 2015. Art Foundations 1 students were done with their still life projects and were waiting for them to be returned. Throughout the room, different items are gathered together. Payne is sketching a group of fruits and a pair of Converse shoes. The girls at her table are sketching the same still life, but they each view the items from different angles. Although art is a form of individual expression, multiple people help with its creation. Whether independently or in class, creating art can be difficult, but often a desire for achievement motivates artists. Using their creative skills and powers of observation, artists challenge themselves to make great art. Practice is necessary for improvement. This idea can be applied to any skill that an individual could improve upon. 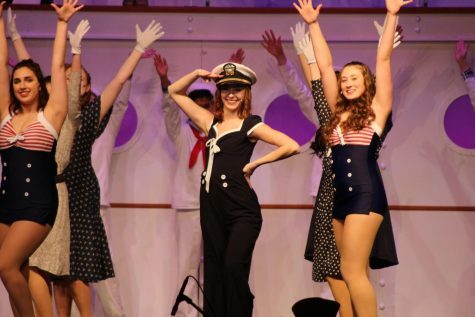 HHS sophomore Paige Beck said that for artists, practicing is a necessity. 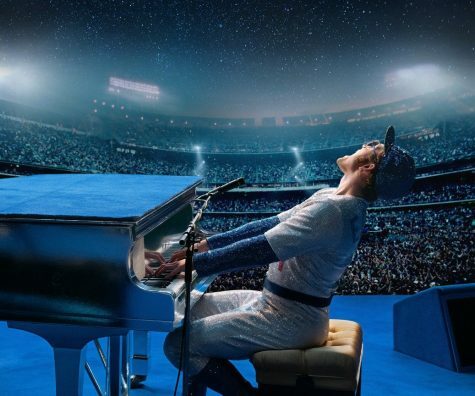 “Talent may be good, but it only gets you halfway,” Beck said. She believes that she did not have any talent or skill when she started to make art. After deciding to make something, she worked hard to learn how to draw it. Over time, Beck has seen herself grow as her skills improved. Although many different sources can cause inspiration, many look to other people as their main source. Beck’s favorite subject to draw is people. She takes design ideas from appearances, such as hairstyles, eye colors, and body structures, but also is inspired by personalities and auras. Simply seeing someone in her everyday life, like in a hallway at school, can inspire her. 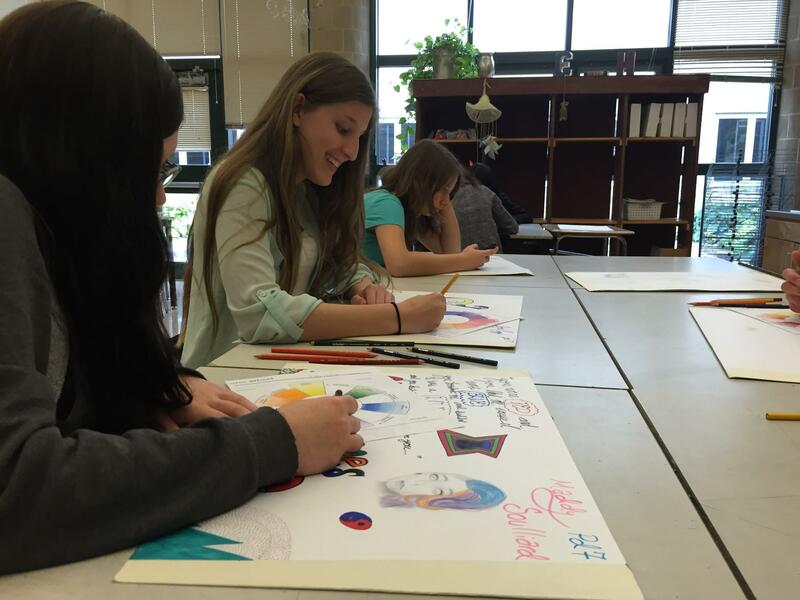 Miranda Tretter, HHS senior and AP Art student, looks toward an individual artist for her inspiration. Vincent Van Gogh, a leader in the impressionism movement, is Tretter’s favorite artist. In impressionism, “You’re not particular about what you do.” said Tretter. Impressionist artists “tend to be more abstract” according to Tretter. Many artists do not plan out what they’re going to create beforehand and let the art happen naturally. Naomi Brought, HHS art teacher, thinks the beginning of a piece of art could be made in two ways. “Start with an idea and make it happen, or start and the idea happens,” Brought said. Both methods are used by artists. Beck is the type of person that likes to plan out what she wants to draw beforehand. When she draws people, she makes them with an emotion already set in her mind. Before beginning to draw, she sketches out her ideas. “Sometimes it’s fun to go in blind with art… but other times you really want to plan out what you’re doing,” Beck said. Visualization is needed to create a meaningful art piece according to Beck. Whether or not the meaning is intended, artists agree that every piece of art has a meaning. Artists create their pieces with many different kinds of emotions and have individual styles. 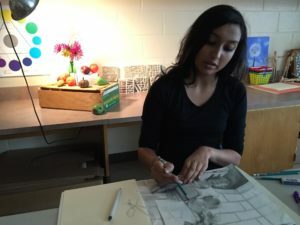 Aparajita Rao, sophomore, is often interrupted by mood swings during her workflow on a given project, but she wants to base her artwork on her genuine emotions. “I usually work on multiple projects simultaneously,” said Rao. Her projects’ emotions can range from gory surrealism, to horror, to satire, to aesthetic, to warm and happy moments. Rao believes that feeling without craft is destruction, and craft without feeling is overrated. Aparajita Rao, sophomore, shades her art project on September 28, 2015 at HHS. Rao has been working on her still life art piece since the beginning of the school year. Not only can the art piece itself be meaningful, but the action of making art can be meaningful as well. HHS art teacher Patricia Costello said that when she attends faculty meetings, she doodles. Working in her sketchbook helps her think better, and it actually keeps her focused on the meeting. However, Costello also has times when she can only focus on the art that she’s making, though that feeling is not negative. “I think I try to make art because it puts me in that zone,” she said. Some artists find it is necessary to finish whatever they are drawing as soon as the first line is made. When HHS sophomore Carlin Spinney starts a drawing, she never lets a drawing go unfinished once she starts it. “Otherwise I would never finish it,” Spinney said. Tretter has a similar reaction to Beck, becoming fixated on the piece of art she’s making. She doesn’t pay any mind to outside distractions, including her phone. “…even if you want to break yourself free, you can’t,” said Tretter. Making art is not just a talent that some have and some do not. People are born with talent. Some great artists may have been born with talent, but they still had to work to practice their skills. Other artists who are not naturally talented can still make great art if they develop their skills. Beck is the only artist in her family, but she believes the rest of her family could be artists. According to Beck, her mom and sister can only draw stick figures, but they could do art if they put their minds to it. 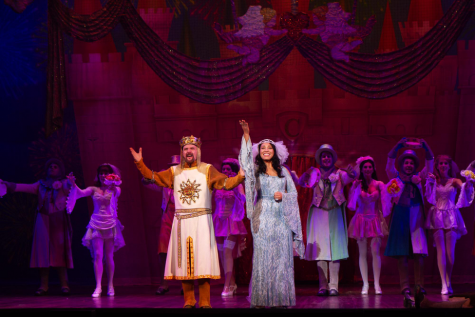 “The thing is, they don’t put in the time and energy that it takes to make art,” she said. Creating art may seem like an all-talent action, but that is only because no one sees all the work leading up to the final product. Beck has spent years developing her art skills. Starting off with a simple fascination with drawing the human body, she worked hard and learned to draw it better over time. Paige Beck, HHS sophomore, uses watercolors to paint in a drawing on October 11, 2015. Beck drew inspiration from people in her own life to make and paint this piece of art. According to Beck, talent has nothing to do with the ability to create beautiful art. The importance is not in talent, but building skills. “Most people start out with the same level of skill, which is zero,” said Beck. Though being skilled can be an important part in making art, Rao believes there is a difference between art itself and the crafting of art. Craft can easily be learned as skill according to Rao. Some examples of craft according to Rao are moving a brush over a canvas, pressing piano keys, and body moving to a rhythm. “Craft is the skill behind beautiful works… but they are not art,” said Rao. In addition to improvement with the craft of making art, creativity can be improved upon as well. According to Brought, although some people are more creative naturally, anyone can grow to be more creative. Rao agrees with Brought’s idea of training to think more creatively and thinks anyone can change the way he or she thinks. According to Rao, those who have changed themselves, whether it be their personality or their likes and dislikes, will especially agree that anyone can change their thinking. Rao thinks many people misunderstand the difference between creativity and craftsmanship. “Creativity is not a beautiful painting […] or a well-colored coloring page, or a cute pom-pom animal made from a craft kit,” said Rao. Those were examples of craftsmanship. Creativity to Rao is all in the mind: a way of thinking that can be changed. In Brought”s classes, students are encouraged to be creative. Though she has certain skill requirements outlined in a rubric, exceeding those expectations means more success. “Everybody has the potential to be a good artist,” said Brought. 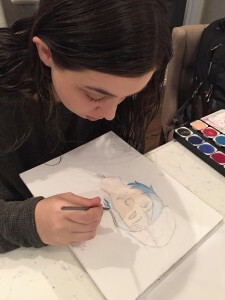 She embraces how students come into her art classes with different skill levels. With the right focus and hard work, she believes that her students can grow and get far. Like Brought, Costello believes practice can help one achieve his or her goals. Costello is constantly working on her sketchbooks to make herself a better art teacher. It is easier to teach and help students with their creative processes when she consistently works through her own. Drawing in pen is a way that Costello challenges herself. Permanent ink forces her to make a commitment to every line she draws. By using pens, she learned to have a better artistic view. “Sometimes it’s really hard. 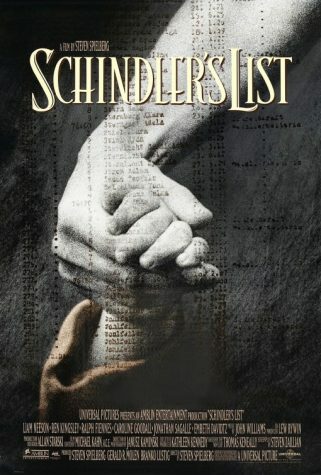 But when I look at my work, I learn a lot from it,” Costello said. When Costello teaches art, she feels like a life coach. Students are often unsure and doubtful, but she helps them keep their confidence and uses positivity. 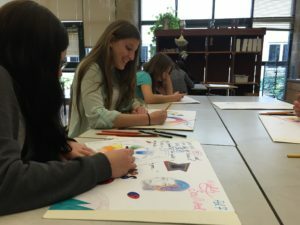 Costello encourages her students to make a commitment to their pieces of art in the same way she does with her pen drawings. Art takes time and motivation. “Sometimes you don’t think you’re good enough, and sometimes you want to give up, but that’s not going to make you better,” said Beck. She has had experience with motivating herself to be great. There’s a right and wrong way to do it according to Beck. If others are better, use them as motivation to do what they do. Don’t get upset; get motivated. “Art is more about personal growth than anything else,” Beck said. An obstacle for many artists is “artist’s block.” Similar to “writer’s block,” when writers cannot write, artists cannot make art. For most artists, art block happens frequently. During Spinney’s art block, she does not know what to draw and goes online, usually google, for inspiration. When Beck gets art block, which happens “all the time,” she draws generally everything in hopes of finding real inspiration along the way. Everyone makes art differently. Different thought processes, different crafts, different styles, different talent levels. But anyone can improve their skills with effort and learn the true purpose of art: to express thoughts and emotions. On the opposite corner of the room, far from for where Mariah sits, Adda Dorfauber talks to her fellow classmates. Finished with her project, she sketches on her art folder. “Drawing is telling a story,” Adda says with a smile.